Paul Edwards, Executive Director, Wayne County Community Foundation, at the WCCF office in Honesdale, February, 2018, presenting $2000 grant to Jeanne Brown on behalf of GDHS. 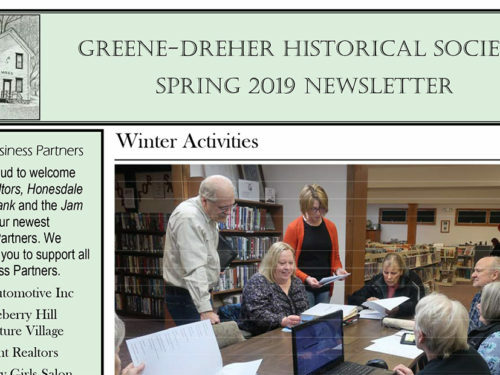 The Greene-Dreher Historical Society was awarded a grant from the Wayne County Community Foundation. Paul Edwards, Executive Director of the Foundation, presented a check to Jeanne Brown, President of the Historical Society at the WCCF office in Honesdale in March. The grant helped fund the redesign of the society’s website, which was officially launched in May. 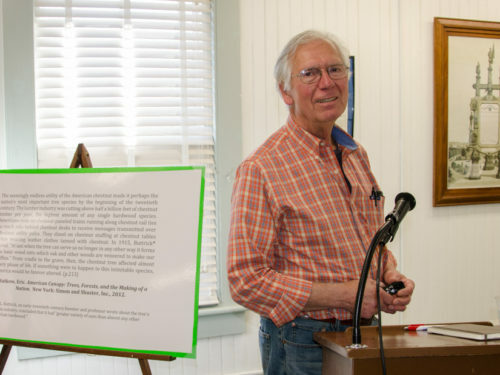 The new website features many historic images and will help genealogists, researchers, local educators and historians learn about the area’s rich history. The Society’s calendar of events, collections, news items, and services are also easily accessible in this user-friendly site. The Wayne County Community Foundation is a nonprofit foundation whose primary goal is to build a charitable reserve of funds to support a wide variety of community organizations. 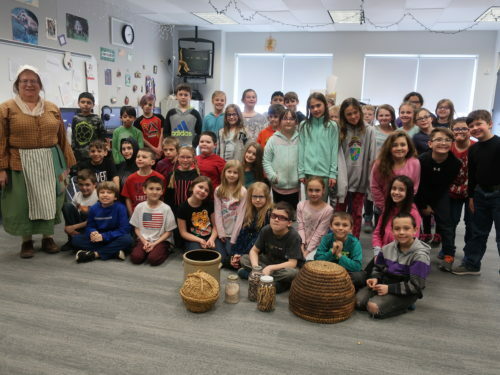 Grants are awarded quarterly to non-profit agencies located in Wayne County that sustain and advance access to the arts, literacy, culture, community development, education, the environment, and health and human services. 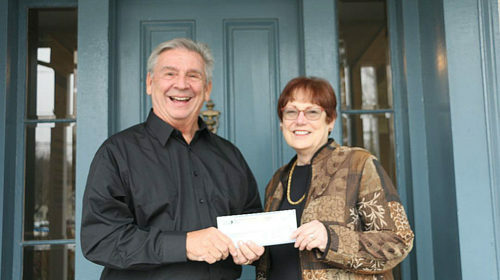 We appreciate the Foundation’s generous support of the Historical Society.